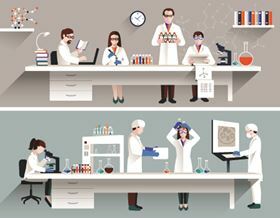 To celebrate the achievements of leading labs in materials science, this new section of Materials Today features profiles of groups helping shape the future of materials science. Alexander Bismarck, PaCE, Imperial College London, London. Ke Lu, Institute of Metal Research, CAS, Shenyang, China. Dr Eleanor Schofield, The Mary Rose Trust, Portsmouth, UK. Abhay Pandit, Centre for Research in Medical Devices (CÚRAM), National University of Ireland. Jonathan Coleman, Chemical Physics of Low-Dimensional Nanostructures, Dublin, Ireland. Julian Allwood, University of Cambridge, UK. Olivia A. Graeve, University of California, San Diego. Angus I. Kirkland, Electron Image Analysis Group, Oxford, UK. John Kilner, Electroceramic Materials, Imperial College London. Zhong Lin Wang, Georgia Institute of Technology, Atlanta. Jackie Y. Ying, Institute of Bioengineering and Nanotechnology (IBN), Singapore. Prof Kostas Kostarelos, University of Manchester, UK. Samir Mitragotri, University of California, Santa Barbara (UCSB), California. Alberto Bianco, Institut de Biologie Moléculaire et Cellulaire, CNRS. Dr Linda Gaines, Argonne National Laboratory, Illinois. Professor Brian Maple, University of California, San Diego. Section for Solar Energy, DTU. Energy Materials Group, Linköping University. The W.M. Keck Center for 3D Innovation. To nominate a lab for a profile, simply log in to your Materials Today members account below and complete the fields that appear below.